Because it's there... | Mountaineering is a relentless pursuit. One climbs further and further yet never reaches the destination. Perhaps that is what gives it its own particular charm. One is constantly searching for something never to be found. Mountaineering is a relentless pursuit. One climbs further and further yet never reaches the destination. Perhaps that is what gives it its own particular charm. One is constantly searching for something never to be found. I recently got back home after spending two fantastic weeks together with my 10 year old son Rasmus in the Mont Blanc range. Good times with hiking and mountaineering! We climbed two mountains above 3500 meters; Pointe Lachenal and Aiguille du Tour. For a week in July, Jonna and I got the chance to combine a business trip to Brixen with a stay in Wolkenstein. Me and my son Rasmus (10 years) reached the summit of Kebnkeaise, the highest mountain in Sweden on June 30th at around 7 PM following the “East Route”. This was my 6th time on the summit since 1984. During the first week in September I got to climb a some nice routes with my old classmate and climbing partner Tomas Ericsson. 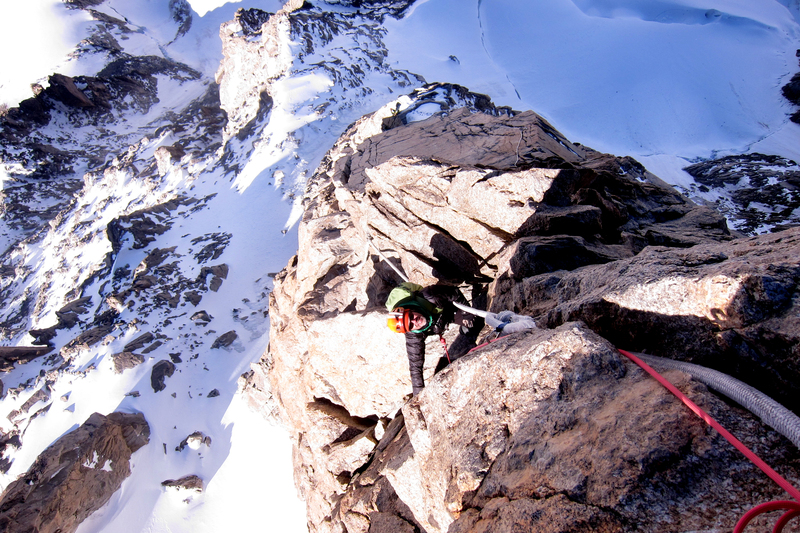 We also had three days of climbing with Krister Jonsson. I and my son Rasmus, 9 years old, recently had a bit of an epic trip to Kebnekaise, the highest mountain in Sweden. We arrived to the mountain station below the mountain on sunday, august 9. Our plan was an easy scramble to the top and follow the ridge to the North Summit. However, as it often happen in the mountains. The weather worsened to be something ordinary hikers would call a “snowstorm”… The forcast promised winds up to 20m/s and rain and snow… Nice! As Rasmus had a bit of pain in his foot after the 20km hike to our BC. He had been carried about 10kg and brand new mountaineering boots. So we waited and bid our time during monday. Om Thuesday afternoon we decided to have a go at the mountain. We had a lot of fun batteling the rain, hail and snow in the howling wind 🙂 However, at 10 PM when we reached the old top cabin of Kebnekaise, Rasmus showed signs of hypotermia, so we sheltered ourselves inside. We han no kitchen, no sleeping bags etc. to get any warmth. We just bid our time during the night. I must admit it was really cold, we both shivered uncontrolled from time to time. In the morning I was unsure of how Rasmus really felt, he could not manage to eat properly, not even a power bar. So I decied to descend. 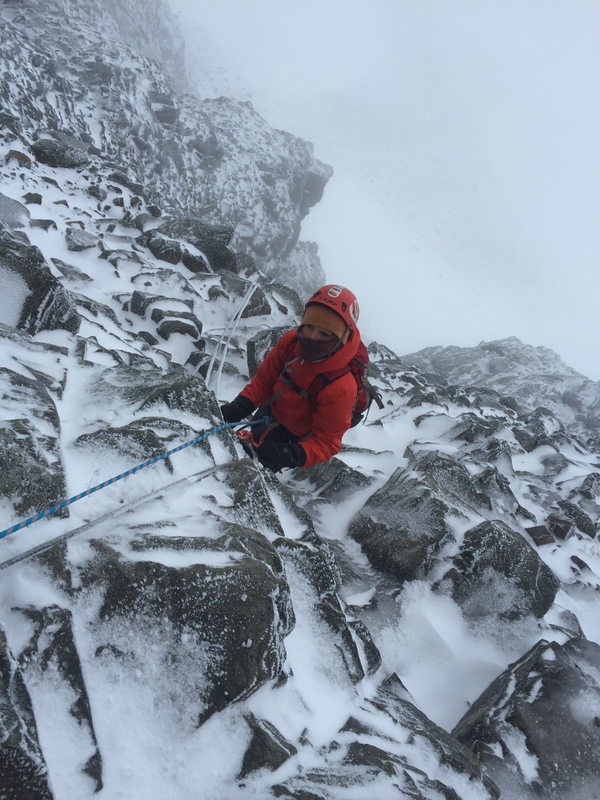 The descent went really well and was also a lot of fun in hard winds with a lot of spindrift. When we reached our tent again, we had been away for 27 hours. Hard going for a nine year old. I’m proud of him! 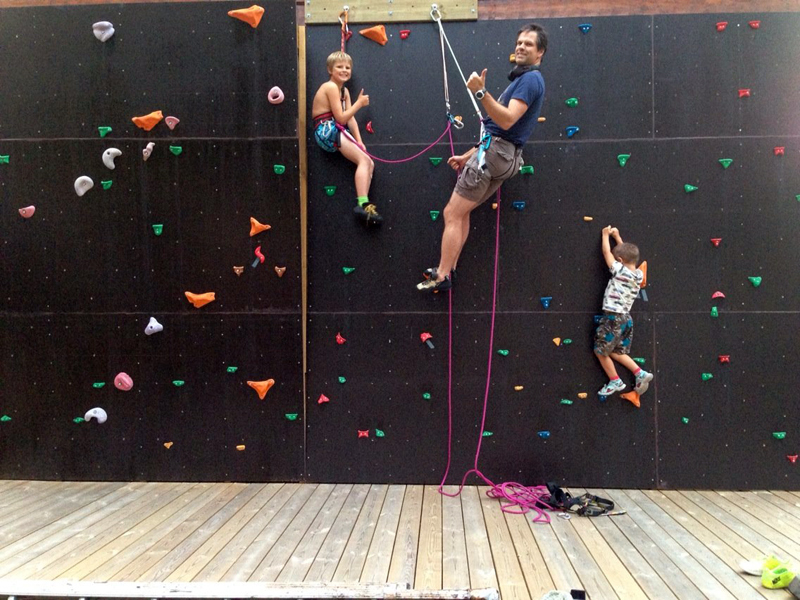 I just updated the photo gallery “Mix – Various climbing” with a few new photos. Again nothing turned out as planned… The plan was to try the Liongrat Ridge on the Matterhorn together with my old childhood friend Tomas. Sadly Tomas had to call the climb off in the last minute, leaving me without a climbing partner. Luckily I had booked a week after our planned Matterhorn trip to climb together with Krister Jonsson, a Swedish mountain guide. I already knew Krister from last year when we climbed the Mittelliegi Ride on the Eiger together. We had a lot of fun on Eiger and other mountains for a week. 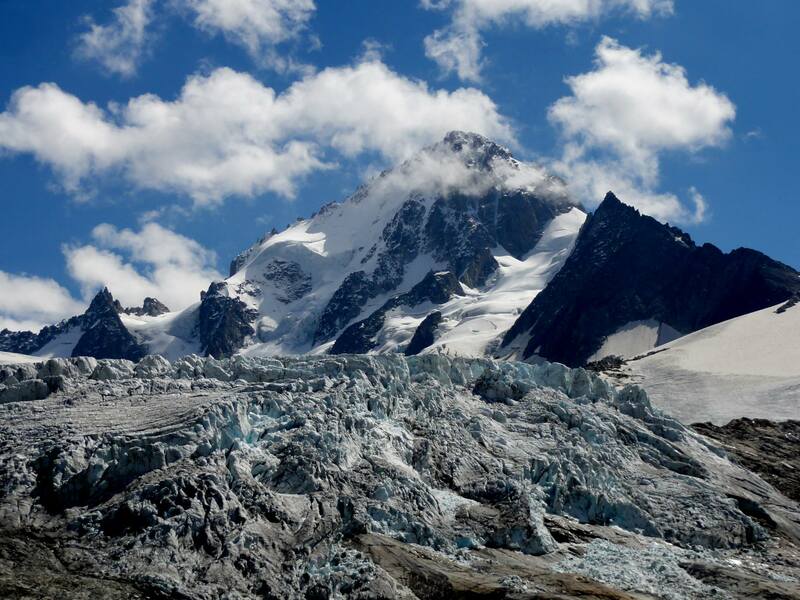 The first “Matterhorn” week was instead spent in the Mont Blanc area, hiking and doing some acclimatization scrambles. On Monday, September 8th, Krister and I met up in Chamonix and headed for Aiguille du Chardonnet, a 3,824 m high mountain in the Mont Blanc range. After some a few hours of hiking, we reached the newly renovated Albert Premier Hut. 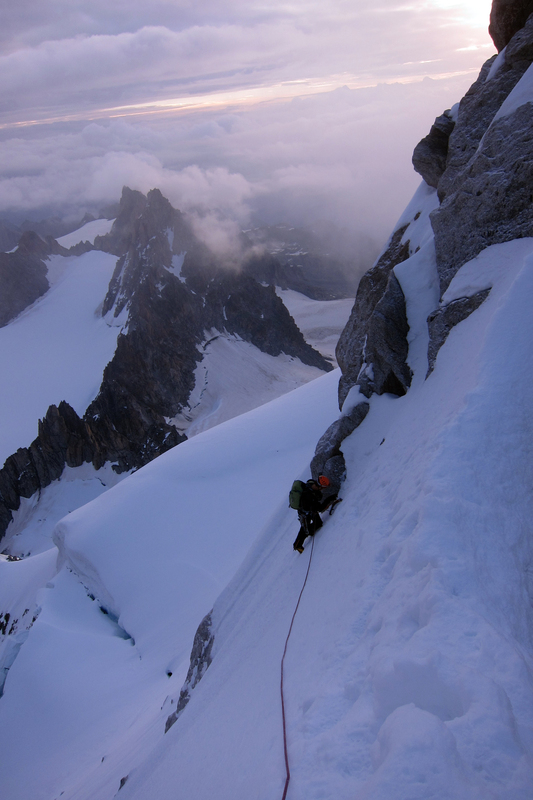 The alarm was set to 01:45 AM and one hour later we were ready and headed for the goal, the Arête Forbes on Chardonet. Arête Forbes is the ridge to the left. The route traverses the summit and follows the right hand ridge down to the glacier. This climb really had it all; thunder and lightning from the Aosta side of the mountain during the approach, later snowfall, clouds and finally blue skies! A delicate bergschrund, steep ice and snow, abseiling’s, somewhat awkward moves, at some passages the ridge narrowed to a thin exposed ridge. To sum it up, a really nice and fun climb! 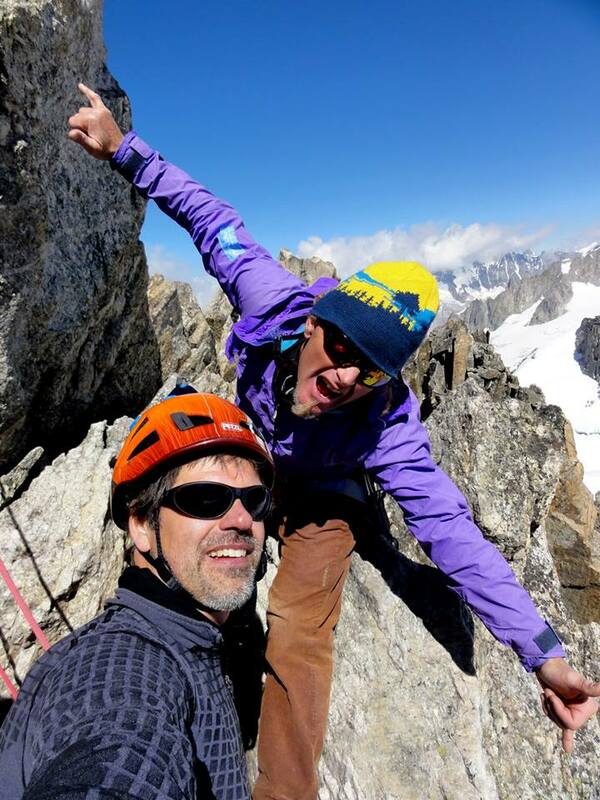 Later during the week, Krister and I climbed several other routes, including the famous giant tooth, Dent du Géant and the narrow rocky ridge on Aiguille d’Entrèves! Well… It wasn’t just the other day that I last published a post here. I just realized it’s more than two years ago! Today, when I’m home alone, sick with fever, I found some inspiration and thought it was about time to find the time to update something here! I’ve made two minor updates; Adding a video from the Eiger under the YouTUBE section and a new photo gallery; “2014 – Chamonix“. Jonna and I are on a ice climbing trip to Dalarna and Trängslet. Right now I’m sitting and writing this at the hostel Tre Björnar (Three Bears) in Älvdalen that we’re staying at. Tomorrow it’s sunday and time to go home to the kids. To sum up: Jonna and I had great time! 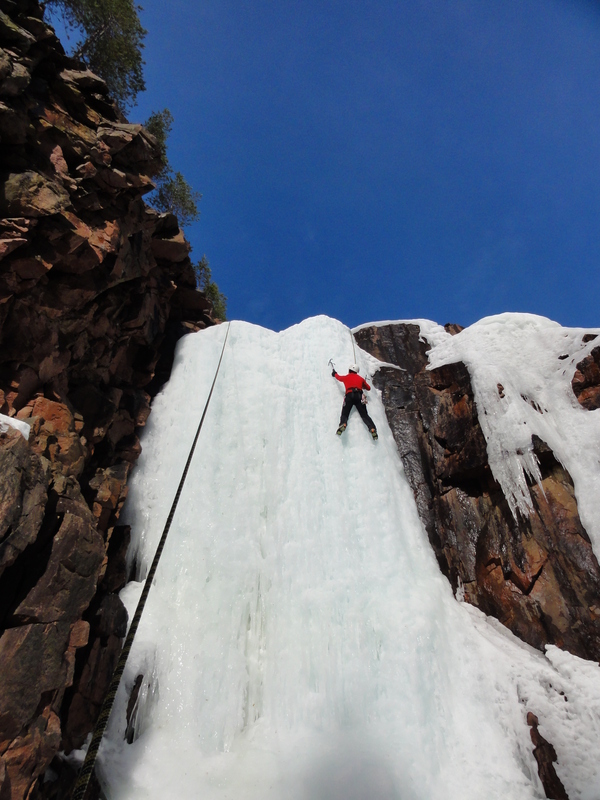 Ice climbing is fun! A lot of fun!